Tim Carter – Artisan Glass Plaques is committed to protecting and respecting your privacy. Our Shopping Cart is designed to give you control over the privacy of your debit/credit card information, name, address, e-mail and any other information you provide us. We offer the industry standard security measures available through your browser called SSL (secure socket layer) encryption. When you provide your personal information such as name, street address, email address and phone number, we will not give or sell this information to any outside company for any use. No credit or debit card information is stored by on our website housenumberplaques.co.uk. 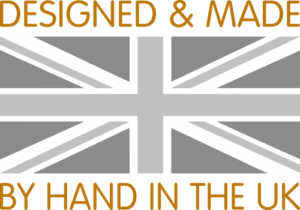 The Tim Carter – Artisan Glass Plaques website, housenumberplaques.co.uk is hosted on a PCI compliant and secure server and all interactions with the website are through secure encrypted connections. When paying for any services or products provided by Tim Carter – Artisan Glass Plaques via our shopping cart, you will have the option to pay by Credit or Debit Card using our secure service supplied by Stripe or PayPal. You do not need to be registered with any of our payment providers when you make a transaction to us. We also accept Cheque, Bank Transfer or Cash. We accept almost all major credit/debit cards for online orders and use Secure Card Encryption so your information is extremely safe. We will contact you if there is a problem processing your payment. Operation of the Tim Carter – Artisan Glass Plaques site is completely secure and is solely within the control of Tim Carter – Artisan Glass Plaques. All credit card numbers entrusted to us for payment purposes are handled securely and only by authorised staff. No credit or debit card information is stored by Tim Carter – Artisan Glass Plaques. If you believe that any information of yours in my possession is in incorrect or incomplete, please either log into your account in the shopping cart and edit the information or email me and I will correct/update the information for you. In addition, if you wish to remove the information I have on file then please email me and I will take the necessary steps to remove your information from my systems.